A classy wedding deserves a classy album. 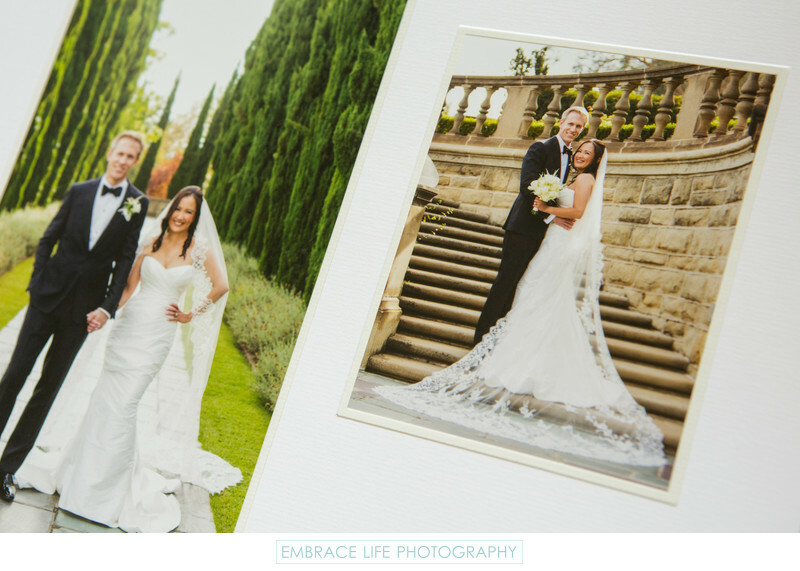 This Greystone Mansion wedding photography is right at home in the fine art style matted pages of our Hand Crafted Elegant album. This detail photograph shows the white mat and ivory liner combination chosen by this beautiful bride and groom, and it is a great compliment to the bride's white dress and the earthy tones of the beautiful stone work in the gardens of Gresytone Mansion.